Over the years I have written a number of textbooks in the areas of electronics and safety. 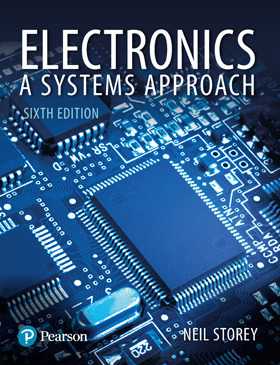 My first book, Electronics: A Systems Approach, is now in its sixth edition. It has also been released as special editions in India and in Indonesia, and has been translated into Spanish and Italian. These books are used as set books for undergraduate and postgraduate courses at universities throughout the world. My safety book is also widely used by professional engineers and researchers in this area. For more information on a particular book click on its image. Electronics play a central role in our everyday lives. It is at the heart of much of today’s essential technology – from mobile phones to computers, from cars to power stations. As such, all engineers, scientists and technologists need a basic understanding of this area, whilst many will require a far greater knowledge of the subject, and for many this will be just the beginning. 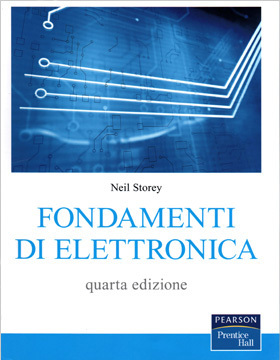 This text covers the latest changes and developments in the world of electronics. It adopts a systems approach, firstly explaining the overall concepts to build students' confidence and understanding, before looking at the more detailed analysis that follows. This allows the student to contextualise what the system is designed to achieve, before tackling the intricacies of the individual components. The book also offers an integrated treatment of analogue and digital electronics highlighting and exploring the common ground between the two fields. The book is supported by over 100 supporting video tutorials - click the video icon below for a taster. Published by Pearson, 861 pages. Increasingly microcomputers are being used in applications where their correct operation is vital to ensure the safety of the public and the environment: from anti-lock braking systems in automobiles, to fly-by-wire aircrafts, to shut-down systems at nuclear power plants. It is, therefore, vital that engineers be aware of the safety implications of the systems they develop. 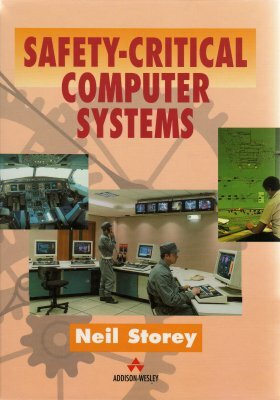 This book is an introduction to the field of safety-critical computer systems written for any engineer who uses microcomputers within real-time embedded systems. It assumes no prior knowledge of safety, or of any specific computer hardware or programming language. This text is intended for both engineering and computer science students, and for practicing engineers within computer related industries. The approach taken is equally suited to engineers who consider computers from a hardware, software or systems viewpoint. Published by Pearson, 472 pages. 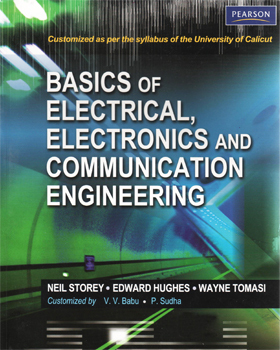 Electrical and Electronic Systems is written in a way that makes it accessible for all its potential readers. Students specializing in electronic of electrical engineering will find material that is presented in a way that is easy to absorb, providing an excellent foundation for further study. For those intending to specialize in other areas of engineering or science, the book provides a good grounding in the basics, and allows students to progress to a depth that is appropriate for their needs. 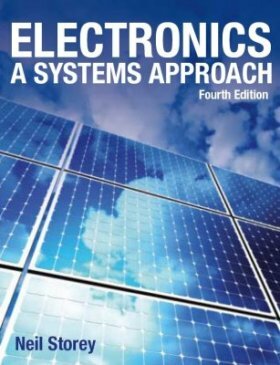 The key to the book's accessibility is the 'top down' approach to the subject - the book begins by outlining the uses and characteristics of electrical and electronic systems, before looking at their analysis. This gives students an insight into why these topics are important before they are studied in detail. The book is aimed at first year degree level courses in Electrical and Electronic Systems/Electrical and Electronic Engineering. Published by Prentice Hall, 400 pages. Testo introduttivo e aggiornato agli ultimi sviluppi della materia. L’approccio prevede una prima parte di illustrazione dei principali concetti legati a elettronica, elettrotecnica, elettromagnetismo e circuiti per poi passare a un’analisi più dettagliata dei sistemi. Sono previsti numerosi esempi di supporto alla presentazione degli argomenti, esercizi a fine capitolo, box di ricapitolazione ed esercizi di simulazione al computer. L’approccio è volutamente pratico e “hands-on”, ricco di spunti pratici e operativi, senza per questo voler rinunciare a una trattazione chiara e rigorosa. L'edizione italiana è stata curata da Alessandro Cidronali e Stefano Maddio, Dipartimento di Elettronica e Telecomunicazioni, Università degli Studi di Firenze. Published by Prentice Hall, 485 pages. La electrónica ha adquirido gran importancia en todas las ramas de la ingeniería, así como en los programas universitarios de varias otras disciplinas. 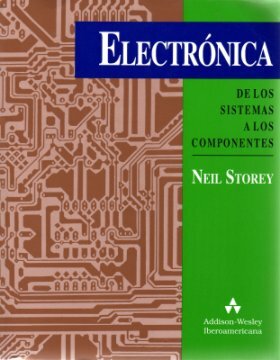 Esta obra introductoria presenta los principios de la electrónica de una manera integrada y coherente al tratar los circuitos analógicos y digitales en un solo libro. La característica que lo hace único es su enfoque sobre los sistemas, que permite mejor comprensión y mayor motivación que la estrategia "ascendente" tradicional. Published by Addison-Wesley Iberoamericana, 663 pages. This edition is manufactured in India and is authorised for sale only in India, Bangladesh, Bhutan, Pakistan, Nepal, Sri Lanka and the Maldives. 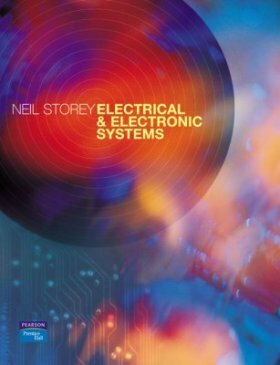 This text covers the latest changes and developments in the world of electronics. It adopts a systems approach, firstly explaining the overall concepts to build students' confidence and understanding, before looking at the more detailed analysis that follows. This allows the student to contextualise what the system is designed to achieve, before tackling the intricacies of the individual components. The book also offers an integrated treatment of analogue and digital electronics highlighting and exploring the common ground between the two fields. Published by Pearson, 820 pages. Electronics is fundamental to much of todays technology, and therefore, all engineers, scientists and technologists need a basic understanding of this area, whilst many will require a far greater knowledge of the subject. 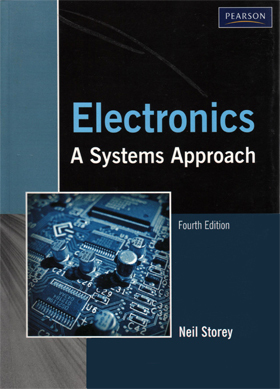 This text has been fully updated to reflect developments in the field of electronics. It adopts a systems approach, firstly explaining the overall concepts to build students' confidence and understanding, before looking at the more detailed analysis that follows. This allows the student to contextualise what the system is designed to achieve, before tackling the intricacies of the individual components. The book also offers an integrated treatment of analogue and digital electronics highlighting and exploring the common ground between the two fields. Published by Pearson, 852 pages. Electronics is at the heart of much of today’s essential technology – from mobile phones to computers, from cars to power stations. As such, all engineers, scientists and technologists need a basic understanding of this area, whilst many will require a far greater knowledge of the subject. Published by Prentice Hall, 820 pages. Electronics play a central role in our every-day lives, being at the heart of much of today's essential technology - from mobile phones to computers; from cars to power stations. As such, all engineers, scientists and technologists need a basic understanding of this area, whilst many will require a far greater knowledge of the subject. 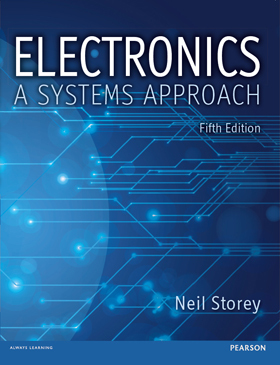 The third edition of Electronics- A Systems Approach is an outstanding introduction to this fast-moving, important field. Fully updated, it covers the latest changes and developments in the world of electronics. It continues to use Neil Storey's well-respected systems approach, firstly explaining the overall concepts to build students' confidence and understanding, before looking at the more detailed analysis that follows. This allows the student to contextualise what the system is designed to achieve, before tackling the intricacies of the individual components. The book also offers an integrated treatment of analogue and digital electronics highlighting and exploring the common ground between the two fields. Published by Prentice Hall, 657 pages. 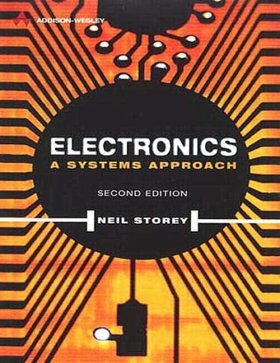 Updated to take account of changes in this ever more important field, the second edition of this popular text provides an engaging and accessible introduction to the principles of electronics. Its 'systems-oriented' approach is now accepted as an illuminating and motivating method of addressing the subject. Overall concepts are explained first, supplying the reader with the confidence and understanding needed to tackle the more detailed analysis which follows. This book also offers an integrated treatment of analogue and digitial electronics, highlighting and exploring the common ground between the two fields. Throughout the book, learning is reinforced by chapter objectives, end of chapter summaries, worked examples, exercises and tips for further reading. Every chapter also includes a comprehensive design study linking theory to everyday practice. Published by Addison-Wesley, 688 pages. 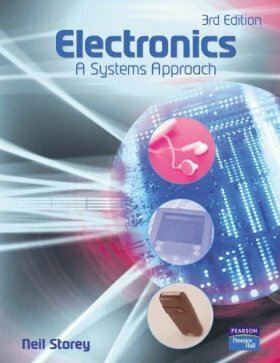 This introductory text presents the principles of electronics in an integrated and coherent way by treating analogue and digital circuits in one book. It adopts a 'systems approach' which provides greater understanding and motivation than the traditional 'bottom-up' approach. Key features of the text include its use of Design Studies to highlight the choices and decisions that have to be made during the design process. 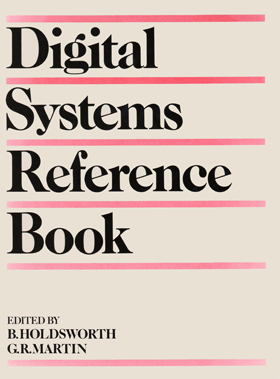 It also contains a unique chapter on System Design that draws together methods of analogue and digital circuit design. Published by Addison-Wesley, 672 pages. In addition to the books listed above, I have also contributed to a number of other texts, as shown below. This text covers areas of electronics, digital systems, electronic communications and radar technologies. It provides basic concepts, an overview of electrical engineering, knowledge about basic electronic and digital systems, and gives basic ideas about various communications systems. Communication systems are discussed based on a system-level block-diagram approach. Published by Pearson, in India. 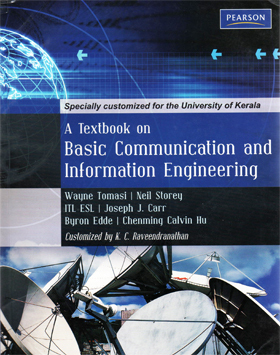 This textbook is designed as the definitive course book for undergraduate students, and provides a firm grasp of topics in the field of communication and information engineering. Topics covered include: BJTs and MOSFETs: amplifiers and oscillators; integrated circuits: analog and digital; IC fabrication; measurements; radio communications: AM, FM and television; radar and navigation; satellite, data, optical and cellular communcation; data transmission and internet technology and networking. I contributed a chapter to this book entitled "High Integrity Systems". Computers and other electronic hardware are now used at the heart of a multitude of control and monitoring systems where their correct operation is vital. 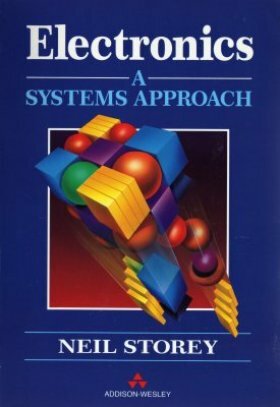 This chapter provides a brief introduction to the techniques required to produce systems that are appropriate for use in such critical applications. The chapter provides an introduction to key topics within the area and to their terminology. It considers the various requirements for high integrity systems such as reliability, availability, system integrity and system recovery. It then discusses the nature of faults and errors within electronic systems, and looks at various methods of fault prevention, including the use of formal methods of specification and design. It also considers the use of fault removal, fault detection and fault tolerance in the development of high integrity systems.